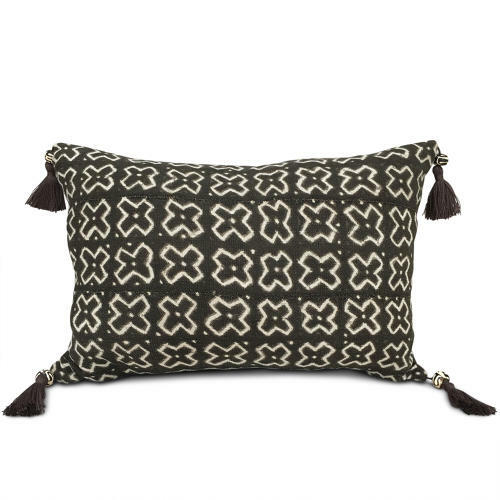 These cushions are made from a vintage Mud Cloth or Bogolanfini, by the Dogon people of Mali. The cloth is used for the front and back of the cushion, and there are beaded tassels at the corners. The beads are known as "camels teeth" beads but are in fact bone. There are zip fasteners and feather pads.